We are the moving company that home and business owners can depend on when they are planning on making local or long distance moves. 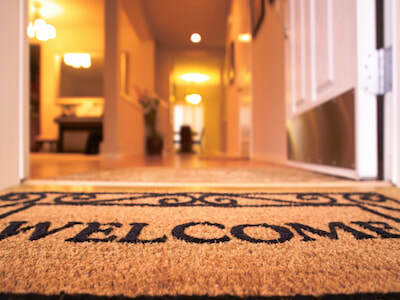 It is our mission to make sure that you are a completely satisfied client, and we take great pride in offering excellent customer service coupled with premium moving services that make your life easier. You can trust Sioux Falls Movers for all your moving and storage needs. When you select us for your relocation, if you choose, you don't have to do any part of your move yourself. We offer full-service moving and storage, which means we can pack, load, unload, and unpack your entire house if you like. We offer a variety of additional services too, which will make your move even easier. And we do all of this at affordable rates and with complete licensing and insurance. With Sioux Falls Movers, you can have peace-of-mind knowing you are using the best professionals in the business. 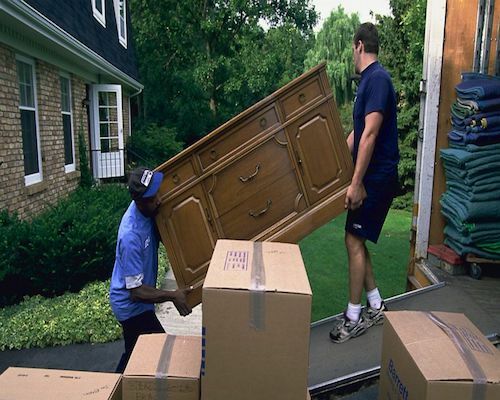 ​​We want to be the movers Sioux Falls turns to for their home and business moving services. Our team of experienced moving professionals take your move seriously. We understand how stressful moving your home or business can be, but we promise will do whatever it takes to make your move go as smoothly as possible. We understand that you want an economical moving price, so we always offer free quotes that you will find match or beat our competitors pricing. Our company will pair you with one of our moving associates who will document all of your requirements and ask additional questions to determine precisely what services you need and what may be optional. Based on our free quote process, we will then provide you with a detailed and affordable moving estimate. Also, at this time, we will provide you with all the details of our moving process and our licensing and insurance. We can almost always do all of this over the phone and with email, saving you time and money right from the start. Our crew will be happy to do your packing, some of the packing, or to just provide quality moving packing supplies to ensure that everything is done correctly. 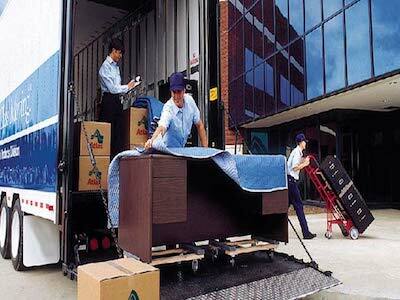 We offer different levels of packing services that can meet any requirement. Our Full Packing Service provides complete packing for your entire residence or office. If you merely want certain rooms or items packed, you can opt for our Partial Packing Service. Naturally, we additionally offer a Pack Yourself Service that provides you with premium packing supplies like boxes, tape, and bubble wrap so you can efficiently do your own packing. Our experienced crews will handle all of the loading process without you having to do a thing. We have the right equipment, tools, and labor to ensure the job is done right. Our crew will make sure all your household goods are properly packed, inventoried, and labeled so that the move will go efficiently during the unloading and unpacking stage. You can rest while we load the heavy items like appliances, furniture, etc. We utilize a special plastic wrapping system and padded blankets to ensure nothing gets broken or damaged. Our crew also uses a unique system when it comes to loading our fleet trucks ensuring all of the space is maximized. We always provide safe moving services, and we will ensure everything is labeled and organized the correct way based on our inventory worksheet we provided you at the time of your quote. All of our truck fleet is perfectly well maintained and in excellent operational capability. Additionally, all of our drivers are certified and licensed, and our trucks carry all the proper insurance. We make safety our #1 priority, and we work hard to meet our clients' deadlines when they have time sensitive moves due to occupancy dates and closings. For our long distance moves, we use GPS tracking on all of our trucks so you will always know the ETA of your property. We provide moving Sioux Falls' residents can trust. Our crews will unload your items safely and ensure everything is placed in your pre-selected rooms and locations based our initial moving consultation. If some of your furniture or other items needed to be disassembled prior to moving, we will re-assemble them upon unloading. 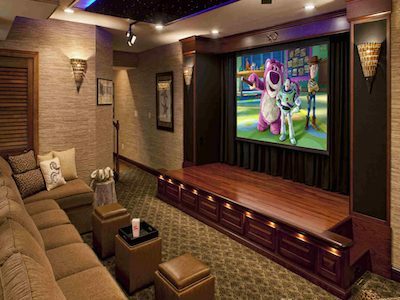 Our crews will ensure that your entertainment centers, tables, bed frames, sofas, and other furniture are property set-up the way that you want them. Optionally, we can unpack your goods if you selected this service during our estimate process. Our crews are always sensitive to your specific guidance as we unload so we ensure everything is in its place. Before we leave, we want to ensure you are 100% satisfied in the move and that everything has been taken care of for you. We are fully aware some moves are atypical and require special considers. Moves such as seniors making the transition from their decades-old home to assisted living or college freshman moving into college. 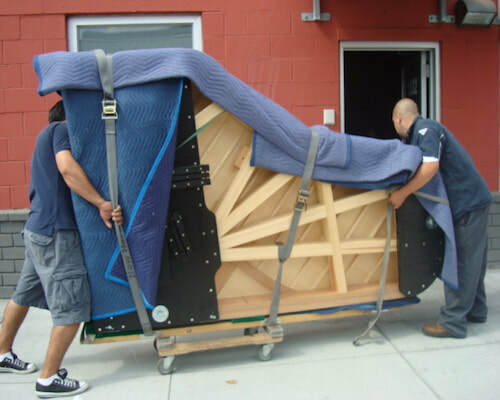 We offer special moving services for just these occasions to you can have the peace-of-mind that everything relative to the move will be taken care of professionally and with sensitivity. Senior Moving - Our senior moves are aimed at making this difficult transition smoother. We will be there to assist in every aspect of a senior's move to ensure that it is an thoughtful and stress-free experience for your loved one and entire family. We will work with you on all unique and special requirements of seniors and family members. 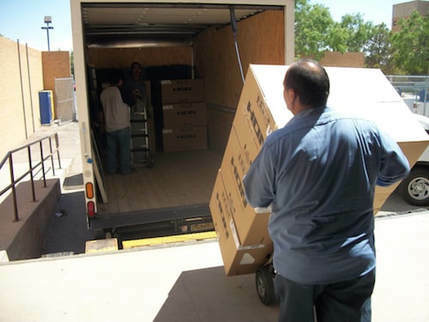 Our moving consultant will make note of any special requirements and requests so we ensure your compete satisfaction. Handicap and Accessible Living Moves - We understand that these kinds of moves can be difficult, but we try to make life easier for all of our clients and their families. We work with all kinds of different residence configurations to ensure your move is both affordable and efficient. Our crew will always be professional and courteous during these types of special moves . If you have any unique or special requests, please communicate them to one of our moving consultants during the phone call so that we can provide the exact moving services your require. Corporate Relocation - Whether your company is in need of local or long distance moving services, we are always here to help. For commercial moves, we put our experience and expertise to the test to ensure everything is done as efficiently as possible given your business operations are at stake. We work with all corporate planers and facility mangers in accomplishing your corporate move and make sure it is done professional and maintains business continuity for you operations. Unpacking - Moving into your new home or business can be made much easies when you have us unpack. 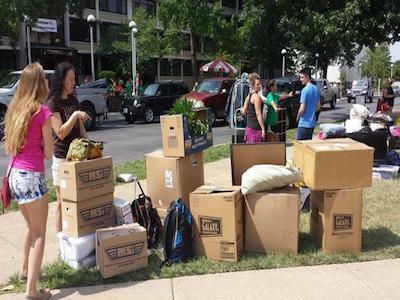 Sioux Falls Movers will unpack all your belongings and put them in locations you specify. You can supervise the unpacking or provide us with prior guidance. Our crew will ensure all packing materials are removed so that your office or home is clean and ready. Storage - We offer complete storage solutions for any storage need you many have, short or long-term. We even offer climate controlled storage for items that are heat and/or cold sensitive. We offer a variety of different sized solutions and even can accommodate the largest items, such as cars, RVs, boats, etc. Structured Packing - We offer, for items that require for protection and structure when packed, structured packing solutions. This is often crating and 2x4 framing that enables us to move delicate and/or large items easier and safer. Large Item Moving - We can easily and affordably move any larger item you may have, such a cars, trucks, RVs, motorcycles, personal water crafts, boats, etc. We were moving to Sioux Falls from Davenport, IA and wanted moving and storage as our new home's occupancy date was a few weeks out. They made everything stress-free and affordable during an otherwise challenging situation. Thank you -Terri T.
I was making a small move within Sioux Falls and didn't think I needed a moving company as it would not be affordable. Yet, they put together an economical plan that made me glad I called them. I would highly recommend this moving company. ​-Terry P.
​We are a local moving company based in the heart of Sioux Falls, SD. We often offer specials and discounts, and always ensure veterans have special discounts they deserve for their sacrifice and service. No move is too small yet too large: from in-house moves of an appliance or piece of furniture to 15,000 square foot homes and large commercial jobs.